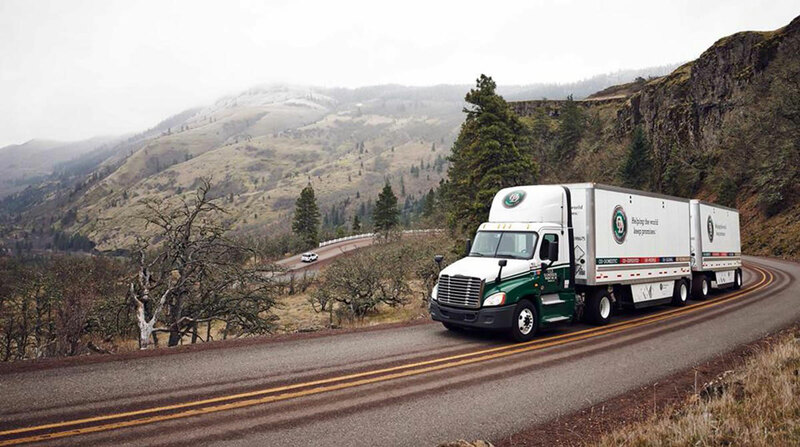 Old Dominion Freight Line Inc. reported total revenue for the first quarter increased by more than 22% to $925 million, the first time quarterly revenue exceeded $900 million in the company’s history. In 2017, first-quarter revenue was $754 million. Old Dominion said this is the fourth consecutive quarter of double-digit revenue growth. Net income for the first three months of 2018 improved to $109 million from $65.7 in 2017, an increase of 66%. The Thomasville, N.C.-based carrier said its diluted earnings per share was $1.33, a 66% increase compared with $0.80 per share in the first quarter of 2017. “The domestic economy continues to be strong, and we believe our ability to deliver superior service in this favorable operating environment will position us to win additional market share,” Old Dominion President Greg Gantt said in a statement April 26. Old Dominion says the revenue increased primarily because of a 15% increase in less-than-truckload tons and a 5.9% jump in LTL revenue per hundredweight. The company also said increased business and improved financial status allowed it to hire almost 12% more employees compared with the same period last year. Old Dominion Freight Line ranks No. 11 on the Transport Topics Top 100 list of the largest for-hire carriers in North America. ODFL has about 8,000 tractors and 32,525 trailers.